In the 1990s and 2000s, Russia and India also collaborated in other major projects for the Indian Navy. In 1997, Russia and India signed a construction contract for the supply of three Project 11356 frigates (patrol ships according to the Russian classification). These vessels are equipped with 100mm artillery installations, Klub-N attack anti-ship missile systems, Shtil medium-range anti-aircraft missile systems, torpedo launching tubes and rocket launchers. The Talwar, Trishul and Tabar frigates entered the Indian Navy in 2003-2004. In 2006, Russia and India signed an agreement for the supply of three Project 11356 ships. The Teg, Tarkash and Trikand frigates entered the Navy in 2012-2013. The major difference between the second set and the first is the inclusion of launchers for Brahmos missiles. Russian-Indian collaboration culminated in significant success with an aircraft carrier fleet. Russia and India signed a contract in 2004 on the transfer of the last aircraft carrier, the Admiral Gorshkov, after extensive modernization. The ship got a new name, Vikramaditya, and began first sea-trials in December 2012 and the second in June 2013. The aircraft carrier arrived in India in June 2014, when the official ceremony was held to induct it into the Indian Navy. Along with extensive financial and organizational issues arising during the Vikramaditya’s refit, the main problem related to meeting all the Indian requests. State and private companies from both countries participated in the outfitting of the ship. 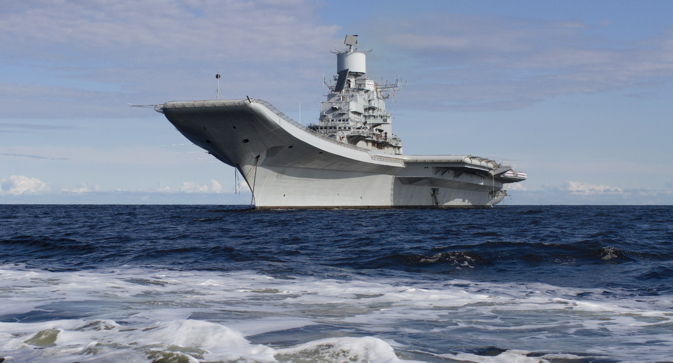 The experience of Russian-Indian cooperation in the process of building the aircraft carrier Vikramaditya helped India initiate work on building the Vikrant aircraft carrier, which began in 2009 (Nevskoe Design Bureau participated in its design). Vikrant was finally launched in the water on 10 June 2015. Its sea-trials may begin in 2017. According to V. Komardin, Deputy General Director of Rosoboronexport, Russia cooperated with India in the construction of the Vikrant for everything related to aviation equipment. For the Indian Navy’s marine aviation, Russia is supplying the ship-based multipurpose fighters MiG-29K and MiG-29KUB. The first contract for the supply of 16 jets of both modifications was signed in 2004, the second in 2010. The Russian Aviation Corporation MiG will supply the second batch in 2016. These examples are nowhere near representative of all the projects implemented by Russia and India within the framework of military-technical cooperation for the Indian navy. These examples show the exclusivity of relations between Russia and India. India also has other partners. But none of them are prepared to develop strategic projects in the interests of India's nuclear submarine or aircraft carrier fleets.